May 1, 2013, 2:58 p.m. The Banyan Project, an attempt to build sustainable, locally owned and controlled news sources, is getting closer to launch in Haverhill, Massachusetts. By Dan Kennedy @dankennedy_nu May 1, 2013, 2:58 p.m. It was as incongruous a situation as I could imagine. April 19 was one of the most gripping news days we have ever experienced in Massachusetts. Dzhokhar Tsarnaev, the younger of the suspected marathon bombers, was in hiding. Boston and several other cities were under voluntary lockdown. And that morning I was driving north, toward Haverhill, on my way to a meeting where earnest community activists were making plans to revive local journalism. While all hell was breaking loose elsewhere, the Haverhill Matters Organizing Committee met in a sunny conference room at Haverhill Community Television. The committee’s goal is to launch a cooperatively owned news site to be called Haverhill Matters sometime this year. It’s been a long time coming. Tom Stites, a veteran journalist who’s worked at The New York Times and the Chicago Tribune, came up with the idea of local news co-ops a few years ago. He founded the Banyan Project to serve as an umbrella; Haverhill Matters will be the pilot. I wrote about his plans for the Lab last year, as well as in the epilogue to my forthcoming book about online community journalism, The Wired City. The launch date for Haverhill Matters has slipped a few times, but at this point it looks like 2013 will be the year. The hour-long meeting was taken up with fairly mundane planning issues, but I could see that the site is moving toward reality. Currently the committee is at the first of a four-stage process, outlined in considerable detail on the Banyan website. The organizers envision everything from crowdsourced reporting projects to quotidian coverage of local news; a board of directors will hire two full-time employees, an executive director and an editor. The site will make ample use of freelancers, neighborhood bloggers, and college and high school interns. After some back-and-forth about liability issues, the committee members agreed to sign on with the Cooperative Development Institute to handle Haverhill Matters’ finances. There were charts about finances and timetables, and about how the yet-to-be-hired editor should spend the 520 hours he or she will be working each quarter. “We’re really at a go/no-go moment, and I think we’ve decided to go,” said Tim Coco, president and general manager of WHAV, an online radio station based in Haverhill. “Well, we want to,” replied local activist Mike LaBonte, co-chair of the organizing committee. The Banyan Project is aimed at serving what Stites calls “news deserts” — less-than-affluent communities that tend to be shunned by high-end advertisers and, thus, by the news organizations that rely on those advertisers. 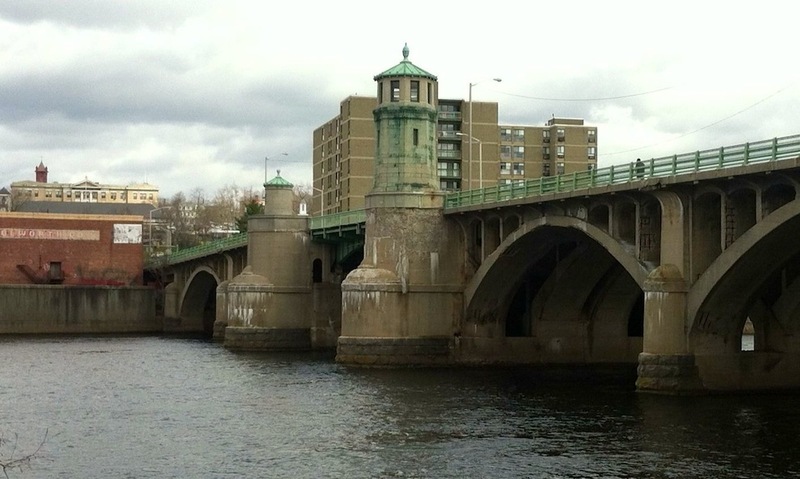 Haverhill, a city of 61,000 on the Merrimack River at the New Hampshire line, meets that definition. The Massachusetts Institute for a New Commonwealth, or MassINC, lists Haverhill as one of 11 “Gateway Cities” — former manufacturing centers that are struggling with a lack of resources and economic investment. Yet in other respects, Haverhill is an unlikely “news desert.” Though the days when two daily newspapers battled it out are long gone, The Eagle-Tribune, based in nearby North Andover, continues to publish a daily Haverhill edition. The Eagle-Tribune also publishes a weekly paper, The Haverhill Gazette, that offers local staples such as school news, feel-good features, and announcements. Add in Haverhill Community Television, with its robust lineup of local programming, and WHAV, and it would appear that more than a few flowers are sprouting in this particular desert. The real target, then, is the unaccountability of local journalism controlled by out-of-state corporations. For years now, The Eagle-Tribune’s owner, Community Newspaper Holdings Inc. of Montgomery, Alabama, has been decimating its properties. Neither The Eagle-Tribune nor the Gazette has an office in Haverhill anymore. Thus Haverhill Matters represents an attempt by local residents to tell their own story. In reporting The Wired City, I learned that there are problems with both the for-profit and nonprofit models of independent online local journalism. The owners of the for-profits — including sites like The Batavian, CT News Junkie, and Baristanet — have to spend so much time selling advertising that it limits the amount of journalism they can afford to do. Nonprofits such as the New Haven Independent, the main focus of my book, are more robust. But not every community is willing to support such a venture, and the Internet Revenue Service has made it increasingly difficult for such sites to attain nonprofit 501(c)(3) status. Moreover, nonprofits are prohibited from endorsing political candidates, traditionally an important activity for local news organizations. A cooperatively owned news site — analogies include credit unions and food co-ops — would occupy a space somewhere between the two models, and would not be banned from publishing endorsements. Tom Stites is currently soliciting contributions for Haverhill Matters’ launch. He hopes to attract 1,500 members at $36 a year, bringing in $54,000, as well as advertising and grant money. A chart Mike LaBonte displayed showed an initial $45,000 expenditure, with the site reaching break-even in two and a half years. Unlike one-off projects such as the New Haven Independent or The Batavian, the intention behind Haverhill Matters is that it be replicable. Stites hopes the Banyan Project will be able to offer a “co-op in a box” to communities looking to start their own cooperatively owned news sites. But first he has to prove the model can work. Which is why Haverhill Matters matters. Dan Kennedy is an assistant professor of journalism at Northeastern University and a panelist on Beat the Press, a weekly media program on WGBH-TV Boston. His blog, Media Nation, is online at dankennedy.net. His book on the New Haven Independent and other community news sites, The Wired City: Reimagining Journalism and Civic Life in the Post-Newspaper Age, will be published by University of Massachusetts Press this month. Photo of Haverhill by Dan Kennedy. POSTED May 1, 2013, 2:58 p.m.
Kennedy, Dan. "A community news co-op, aiming to build a replicable model, moves a step closer to reality." Nieman Journalism Lab. Nieman Foundation for Journalism at Harvard, 1 May. 2013. Web. 18 Apr. 2019. Kennedy, Dan. "A community news co-op, aiming to build a replicable model, moves a step closer to reality." Nieman Journalism Lab. Last modified May 1, 2013. Accessed April 18, 2019. https://www.niemanlab.org/2013/05/a-community-news-co-op-aiming-to-build-a-replicable-model-moves-a-step-closer-to-reality/.